If you have been involved in a motorcycle accident, either as an operator or passenger, it is important that you obtain legal representation as soon after the accident as you can. At Worby Groner Edelman, our White Plains motorcycle accident attorneys have decades of experience representing clients injured in motorcycle accidents. 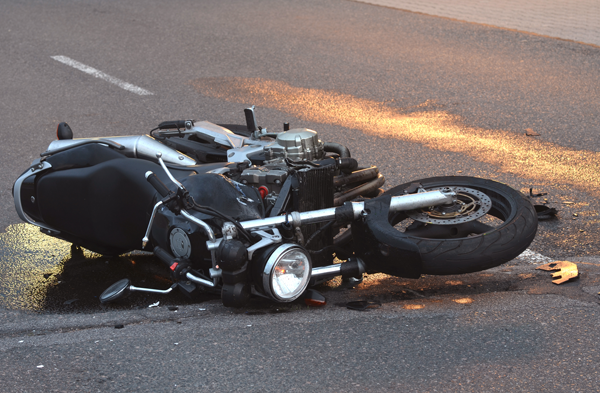 A motorcycle accident can be especially devastating to both the driver and passenger. Many victims of motorcycle accidents suffer head injuries and serious fracture injuries, which can be very severe, given the impact that a motorcycle passenger often makes with the roadway. Often a surgical procedure, extensive hospital stay or rehabilitation may be required. Wearing a helmet can help a motorcycle operator or passenger avoid more serious head injuries, but it’s not a guarantee. At Worby Groner Edelman, we encourage anyone riding a motorcycle to use an approved safety helmet. Operating a motorcycle in a safe manner – and as a passenger, riding only with someone whom you know to be a responsible operator – is the best step you can take to prevent a severe injury as a result of a motorcycle accident. You should also know that the laws of New York do not require insurance companies to cover motorcycle accident victims for No Fault insurance. That means that your medical bills will have to be paid by your own medical insurance, subject to any existing coverage limitations on your policy. This can be a very significant hardship for people who do not have medical insurance. While the motorcycle’s liability policy or the liability policy of any other vehicle involved in the accident may cover you for medical bills, the insurance companies for the vehicles involved in the accident may dispute the issue of fault. For that reason, coverage for medical bills for motorcycle accident victims may only be possible following settlement or even trial of a lawsuit. Since insurance coverage for your medical bills following a motorcycle accident may not be readily available, it is important you contact an attorney quickly, in order to start the process as soon as possible. If you are in a motorcycle accident, call Worby Groner Edelman LLP for a free consultation. Our White Plains motorcycle attorneys have extensive experience in motorcycle accident cases. We will answer all of your questions, help you process your medical bills and sort out any available insurance coverage. We will handle your case in an efficiently, and move your case to resolution in a prompt manner. We will do everything possible to settle your case for the right dollar amount, but we will simultaneously prepare your case for trial so that if the insurance company will not settle the case for the right dollar amount, we will be prepared to try your case. Our trial lawyers have years of experience, and will aggressively represent you in court if a trial is necessary. Our firm has earned an excellent reputation in the New York City and Westchester County legal communities. Call Worby Groner Edelman LLP if you are involved in a motorcycle accident. There is never a fee unless we are successful.